Esapekka Lappi closed on a remarkable first FIA World Rally Championship victory in Finland on Saturday. The Finn, starting only his fourth event at the top level, ended the penultimate leg of Rally Finland with a 49.1sec lead in his Toyota Yaris over fellow novice Teemu Suninen. Just Sunday’s short final leg separates him from becoming the sixth different winner in nine rounds. Lappi’s delight was in contrast to the heartbreak of Toyota teammate Jari-Matti Latvala. Latvala won the first five of today’s eight dirt road speed tests to overturn Lappi’s overnight advantage and build a 8.5sec lead over his Finnish colleague. 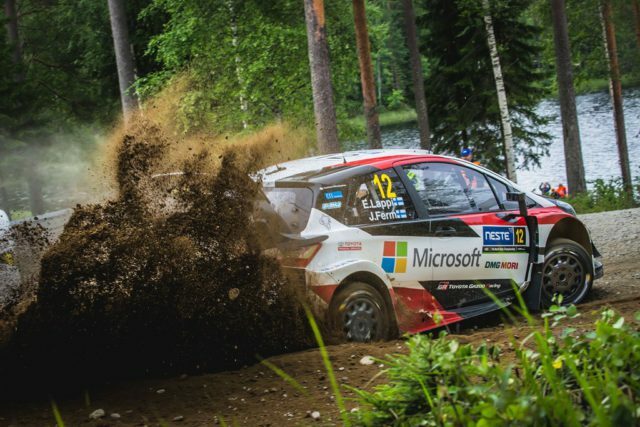 His hopes of a fourth victory on his home event ended when his Yaris ground to a halt with a suspected electrical problem midway through the famous Ouninpohja special stage, leaving Lappi clear. “I’m disappointed for Jari-Matti but it’s not my fault his car broke down so I need to enjoy this moment now,” said Lappi. “It’s something amazing. There was a huge fight behind Lappi for the remaining podium places. Suninen, starting only his second event in a World Rally Car, lost position after his Ford Fiesta overshot a chicane but climbed to second after overhauling Juho Hänninen in the penultimate test. Hänninen broke his Yaris’ front anti-roll bar this afternoon and trailed Suninen by 4.3sec in an all-Finnish top three. Elfyn Evans was only 1.3sec behind in fourth. He made an impressive drive in his Fiesta which culminated in a final stage win. 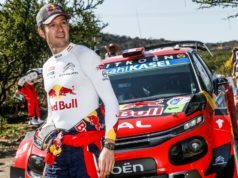 Craig Breen could not retain his overnight fourth after struggling for rhythm in his Citroen C3 and surviving a spin and an overshoot. 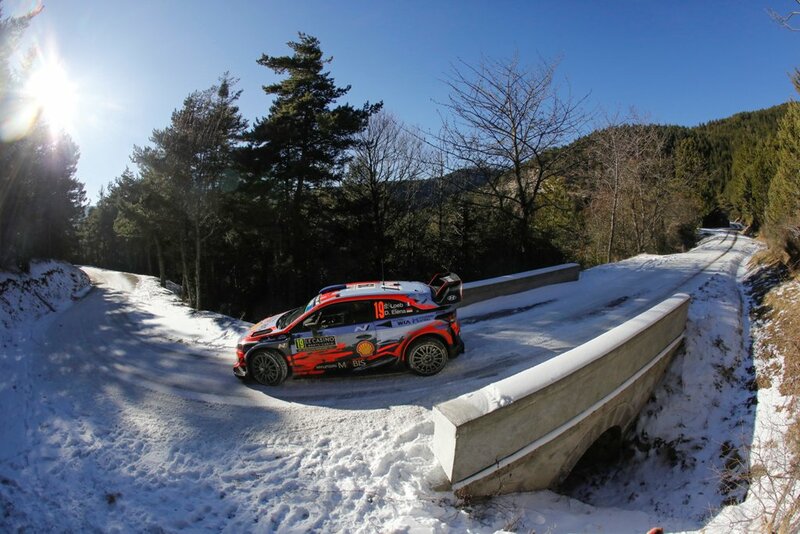 The Irishman was 14.7sec clear of title challenger Thierry Neuville, who aimed to capitalise on absent championship leader Sébastien Ogier. After a disappointing drive yesterday, the Belgian climbed from eighth to sixth as better grip this afternoon suited his Hyundai i20’s set-up. 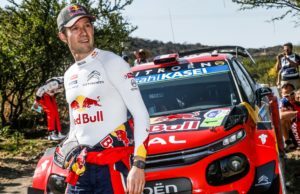 Ogier did not restart morning after yesterday’s heavy crash. 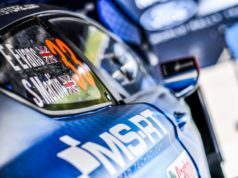 Co-driver Julien Ingrassia was signed off from competing for 15 days by medical chiefs after being diagnosed with mild concussion. Marquez: On Thursday everyone starts asking about winning on Sunday!